I got featured in a treasury today, a collection of items from the shops of Sneak Attack victims. Thank you so much Winemakerssister! 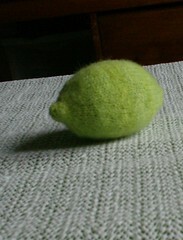 It's a lime! it's so cute, good job!